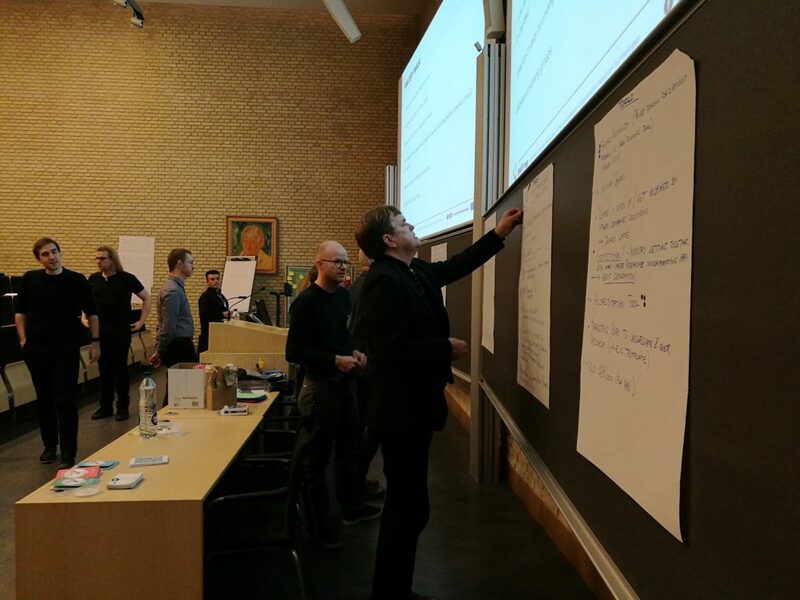 On 16th-17th January different stakeholders from the precision medicine field met in Aarhus (Denmark) to participate in the first Industrial Dialogue on this topic. The 18 participants included members from big and small private companies (BGI Europe, Seven Bridges Genomics UK, Novo Nordisk, Repositive, IMEGEN – that is also part of the consortium), patients associations (the Patients Network for Medical Research and Health EGAN, National association of current and former mental health patients), national institutions (Danish Regions, Danish Health Data Authority), professional associations (Danish Society of Medical Genetics, Danish Association of the Pharmaceutical Industry, Organization of Danish Medical Societies), universities and research clusters (Biopeople – University of Copenhagen, Aarhus University) and more. 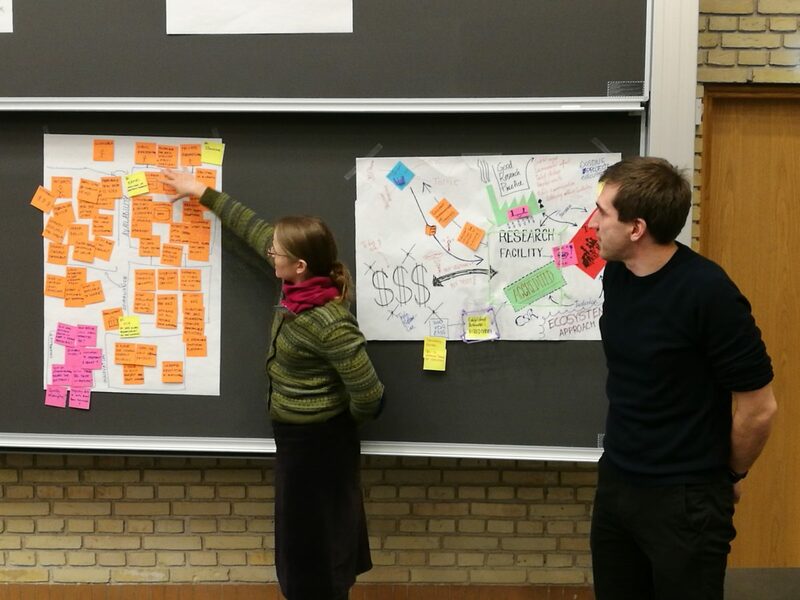 Through repeated sessions of brainstorming, participants compared their experiences and discussed what actions could foster responsible innovation in the precision medicine field. At the end of the first day, a “fast prototyping” session already produced the first suggestions for a tool. The second day started with a gallery walk where participants presented and reviewed the ideas produced. This preparatory phase led to the development of three physical prototypes. Each of the three groups produced concrete ideas and contributed to the discussion in a very productive way. 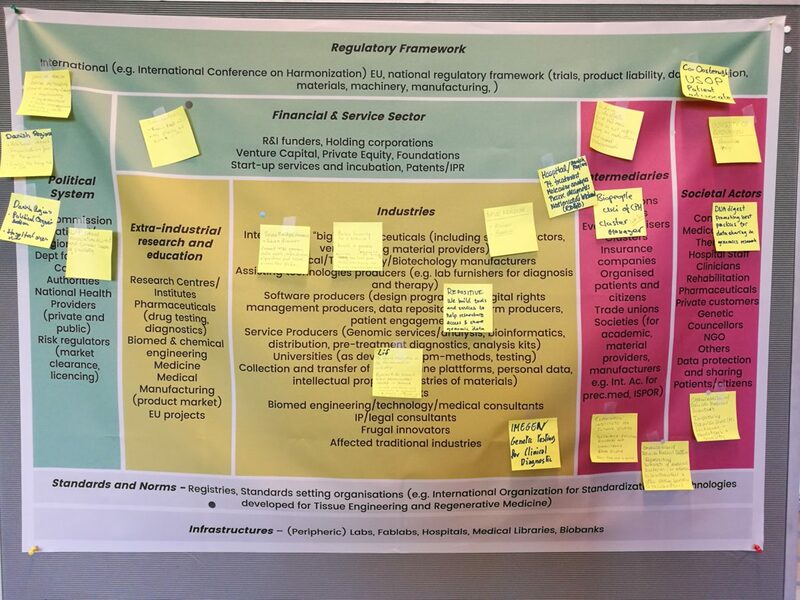 In more general terms, the first Industrial Dialogue highlighted a keypoint on implementing RRI in the real world: we need a broad approach in which industrial players as well as policymakers and society as a whole work together, according to their roles and needs, to get RRI effective. In this short video, Francesco Lescai, SMART-map coordinator, recaps some of the participants’ ideas and comments.